Nkiru Olumide-Ojo sets out, in this book, to respond to that question, and in the process, subvert its hidden “restraining” intent. 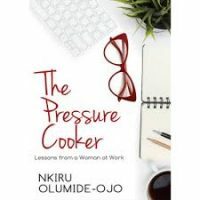 In nine short and eminently readable chapters, The Pressure Cooker offers advice to women in the workplace. 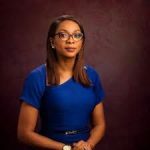 Advice that comes from Ms Olumide-Ojo’s lived experience—of motherhood, workplace politics, and climbing up that corporate ladder. Nkiru Olumide-Ojo is Head:Marketing & Communication at Stanbic Ibtc Holdings PLC. The Pressure Cooker is her first book.